Music of Hope Series Volumes 1 & 2! Natia has a secret-and she's hiding him right beneath her captor's nose. 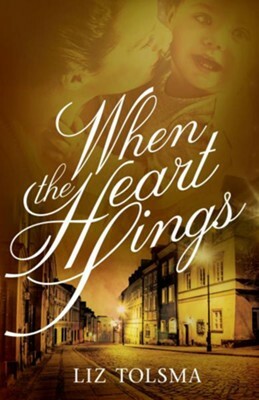 In 1943 Poland, the Nazis have forced Natia and Teodor from their peaceful farm to the harsh confines of a labor camp. When the couple is separated, Natia is chosen to be the housekeeper for the camp's overseer, and Teodor is sent to work in the factory. Despite the strict camp rules-and the consequences for disobeying them-Natia finds a way to communicate with Teodor by sending messages through song as she passes Teodor's dormitory. the overseer's doorstep. 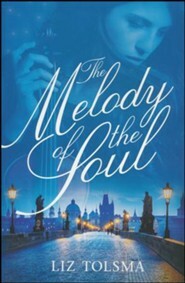 She is determined to protect the boy and raise him as the child she and her husband were unable to bear-but if her German captors discover how much she's hiding, both she and Teodor may pay the ultimate price. The Nazis have forced Natia and Teodor from their Polish farm to a labor camp. The stakes get higher when Natia finds a Jewish orphan on the overseers doorstep. 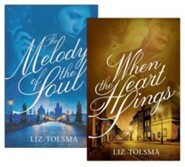 Liz Tolsmas specialty is historical fictionfrom World War II to prairie romance. She resides in semi-rural Wisconsin with her husband and two daughters; her son currently serves as a US Marine. Liz spends her free time working in her large perennial garden, kayaking, and camping with her family. Visit her blog, The Story behind the Story, at liztolsma.com. I'm the author/artist and I want to review When the Heart Sings #2.